You can contact the Region 1 HMCC Duty Officer to request assistance or provide information/situational awareness. 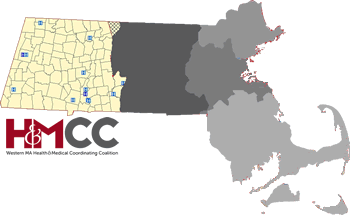 The FRCOG serves as the sponsoring agency of a 94-town Western Massachusetts Health and Medical Coordinating Coalition (HMCC) funded by the Massachusetts Department of Public Health. 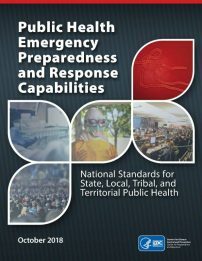 The HMCC coordinates public health and medical emergency preparedness in Region 1 (Berkshire, Franklin, Hampden, and Hampshire Counties). Here are shortcuts to some of our most requested resource documents. 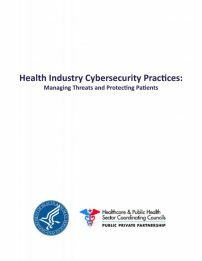 This is only an overview of the kinds of information that can be found on this site, and there are many more documents that cover planning, exercises, best practices, incident management, recovery, and other topics. 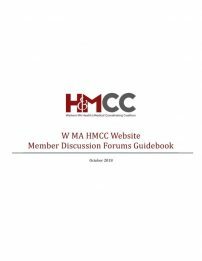 For a complete list of resource documents available on the HMCC website, choose whether you’d like to see them all on one page or organized by topic.